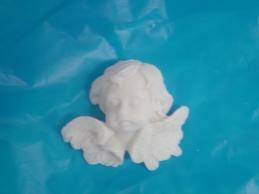 This resin cherub can be added to any favor or just add your own magnet to make it a magnet favor. It also makes a cute accent for the cake. 1 1/2" X 1 1/4" inch. Made of resin.